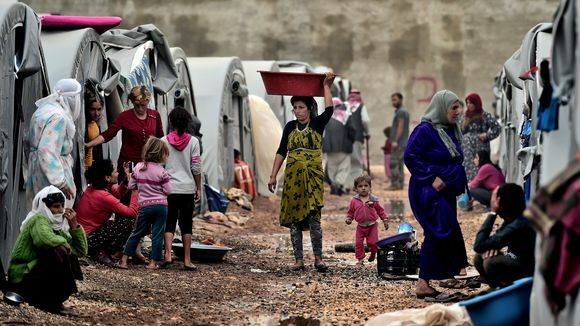 Syria’s civil has resulted in the deaths of an estimated 191,400 people, and displaced almost half of the country’s population, according to the UN. Because of a shortfall in funding the United Nations has started cutting the food aid it provides to 4.2 million Syrians ravaged by war. Around two million Syrian refugees in Lebanon, Jordan, Turkey, Iraq and Egypt would also be affected by the WFP’s decision to reduce their aid if donor countries don’t fulfill their aid pledges. „We will provide food to everybody but its cut down to 60 percent of the normal (food) basket,“ World Food Programme’s assistant executive director Elisabeth Rasmusson told AFP in an interview. The WFP requires about $352 million (280 million euros) until the end of the year as it has completely run out of funds and is totally dependent on „internal finance mechanisms“ to operate, she said. See more at Middle East Eye.